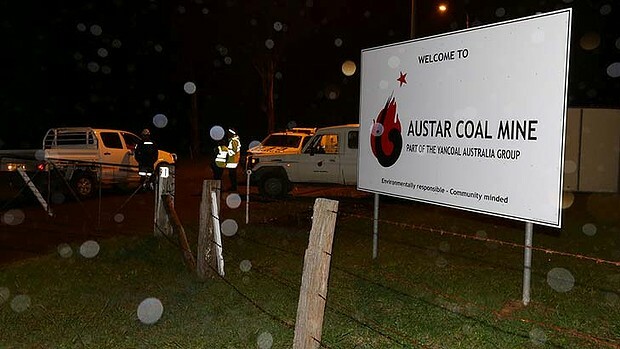 On Tuesday the 15th of April 2014 an incident occurred at Austar Coal Mine resulting in the deaths of Philip Grant, 35, of Metford and Jamie Mitchell, 49, of Aberdare. News Report - Sydney Morning Herald April 15, 2014. Two men have been killed after a Hunter Valley coal mine collapsed. Emergency services were called to a deep underground longwall coal mine, located on Middle Road at Paxton at 9.15pm on Tuesday, following reports of a wall collapse at the site. Officers have been told eight miners were working about 500 metres below the surface when the wall collapsed, two of whom became trapped. Engineers and NSW Ambulance Paramedics attended the mine, which is about 10 kilometres south of Cessnock, to assist the two men. Both men were pronounced dead about 12.15am on Wednesday. Police named the victims on Wednesday afternoon as Philip Grant, 35, of Metford and Jamie Mitchell, 49, of Aberdare.